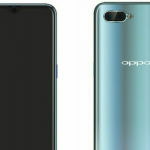 Oppo yesterday launched their mid-range premium smartphone Oppo R15X with Snapdragon 660. We are comparing this device with the budget Realme 2 Pro and another mid-range Vivo V11 Pro. Oppo launched its another mid-range smartphone dubbed as Oppo R15X in China yesterday. The smartphone comes with Snapdragon 660 chipset, teardrop notch and much more. Speaking of this processor, Oppo Realme 2 Pro, as well as Vivo V11 Pro, are powered by the same chipset. Not only that, all of these devices feature a teardrop notch with rest of the specifications being somewhat identical. Today, we are comparing these three smartphones in terms of specifications, features, and price in India. Kicking off this comparison with the price, Oppo’s Realme 2 Pro comes with an affordable price tag of INR 13,990. Vivo 11 Pro and Oppo R15x, on the other hand, is priced at INR 24,600 and INR 26,600. The Realme 2 Pro comes with a 6.3-inch IPS LCD display with an aspect ratio of 19.5:9 and a 1080 x 2340 pixel resolution. It has a pixel density of 409ppi with a protection of Corning Gorilla Glass 3 on front. The Realme 2 Pro is made up of plastic body which still looks premium and attractive than most of the competitors. Both the Vivo V11 Pro and Oppo R15X features a 6.4-inch Super AMOLED display with 19.5:9 ratio, 1080 x 2340 pixels resolution and 402ppi pixel density. The thing which creates a difference between these two devices is the addition of Corning Gorilla Glass 5 on Oppo R15X. In terms of build and display, no doubt the Oppo R15X takes the lead thanks to the added protection and gradient design on the back. Although, Realme 2 Pro is also a great option considering how affordable it actually is. When it comes to hardware and performance, things get a little competitive here. All the three smartphone runs on Qualcomm’s Snapdragon 660 chipset which falls under top-tier mid-range processor. With this SoC, you can expect impressive performance even when you need high power for heavy tasks. For GPU, each device has Adreno 512 coupled with the chipset. The Realme 2 Pro comes in three variants having 4/6GB RAM with 64GB of memory and 8GB of RAM paired with 128GB of storage. Vivo V11, on the other hand, is available in two storage variants – 6GB of RAM paired with 64/128GB of internal storage. Lastly, Oppo R15X has 6GB of RAM coupled with 128GB of onboard memory. In conclusion, you will get similar performance from all these smartphones. Again considering the price to performance value, Realme 2 Pro seems like a better option. Realme 2 Pro, Vivo 11 Pro, and Oppo R15X all of them run on the recent Android 8.1 Oreo operating system. This OS is succeeded by the latest Android 9.0 Pie. Coming to the updates, there is no guarantee that these smartphones will receive Android Pie somewhere in the future. All the devices run on the company’s custom skin based on Android Oreo. 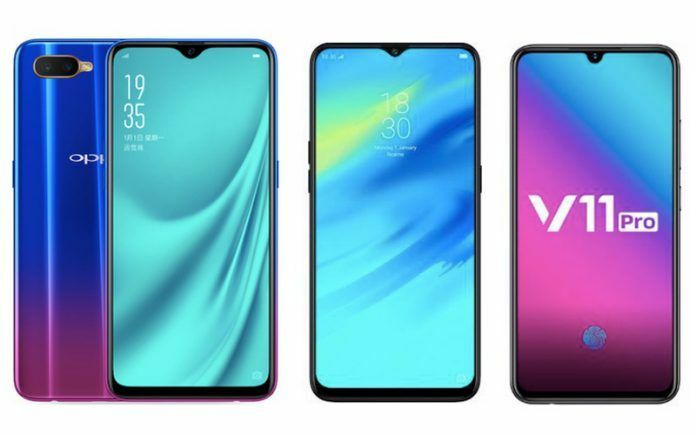 Realme 2 Pro and Oppo R15X have the latest Color OS 5.2 while the Vivo V11 Pro runs on the latest Funtouch OS 4.5. When it comes to software, it is really a personal preference of the user. You might like Color OS more than the Funtouch or vice-versa. All the three smartphones come with dual rear camera setup and a single selfie shooter on the front. The Realme 2 Pro has 16-MP primary sensor with f/1.7 aperture and 2-MP secondary depth sensor. Oppo R15X has the same rear camera setup as that of Realme 2 Pro. Vivo V11 Pro, on the other hand, features a 12-MP primary sensor (f/1.8 aperture) and a 5-MP secondary sensor. For selfies, Oppo R15X and Vivo V11 Pro have a 25-MP snapper while the Realme 2 Pro has a 16-MP selfie shooter. Considering the figures, both the Oppo R15X and Vivo V11 Pro is going to deliver great front camera performance while the Realme 2 Pro and Oppo R15X have better rear cameras. Even in terms of battery, all the three smartphones packs similar capacity with a slight difference in Vivo V11 Pro. Oppo R15X and Realme 2 Pro has a 3,500 mAh battery packed inside. The Vivo V11 Pro, on the other hand, packs a slightly lesser 3,400 mAh battery. Well, the battery backup also depends on the software optimizations. Nonetheless, you’ll still get a identical battery life on these smartphones. Speaking of connectivity and sensors, the smartphones have everything you will need. Oppo R15X and Vivo V11 Pro have an in-display fingerprint sensor while the Realme 2 Pro has a fingerprint sensor at the back. 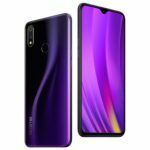 In terms of specifications and price, the budget Realme 2 Pro clearly takes the lead offering impressive features at an aggressive price tag. It has a faster processor, a great set of cameras and decent battery life all at a budget price range. 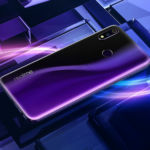 Vivo V11 Pro and Oppo R15X, on the other hand, offers similar specs but costs more largely due to the presence of the in-display fingerprint sensor. If you’re looking for good price to performance value, the Realme 2 Pro would be a perfect fit. 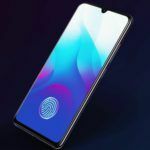 On the other hand, if you want Realme 2 Pro’s feature with a pinch of an in-display fingerprint sensor and a better build quality, you can go with Oppo R15X.